President Isaias Afwerki received at State House today Russian delegation led by Deputy Minister of Foreign Affairs, Mr. Mikhail L. Bogdanov. President Isaias underlined Eritrea’s readiness to strengthen its bilateral cooperation with Russia in various sectors. Russia’s Deputy Minister of Foreign Affairs applauded the bold peace initiatives recently taken by Eritrea and other countries in the Horn of Africa that will bolster regional economic growth. 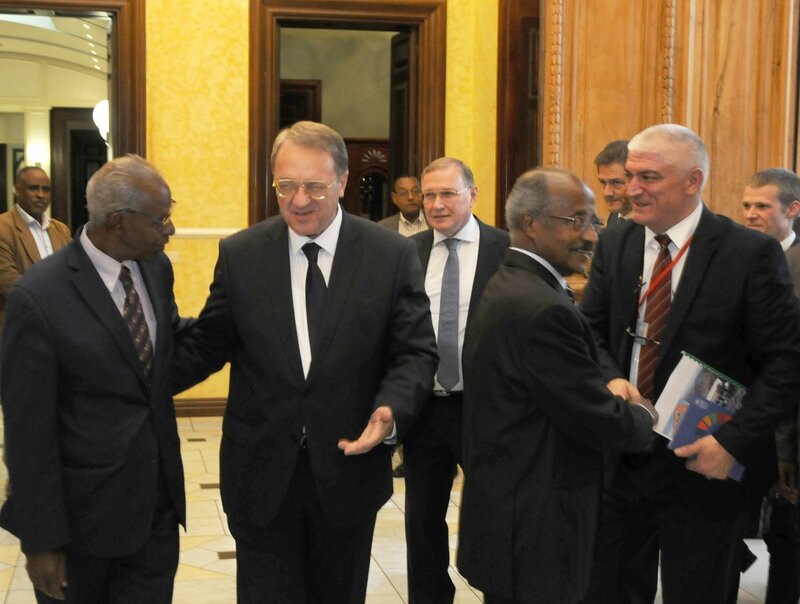 He pledged greater Russian role in investment/trade with Eritrea & the region as a whole.